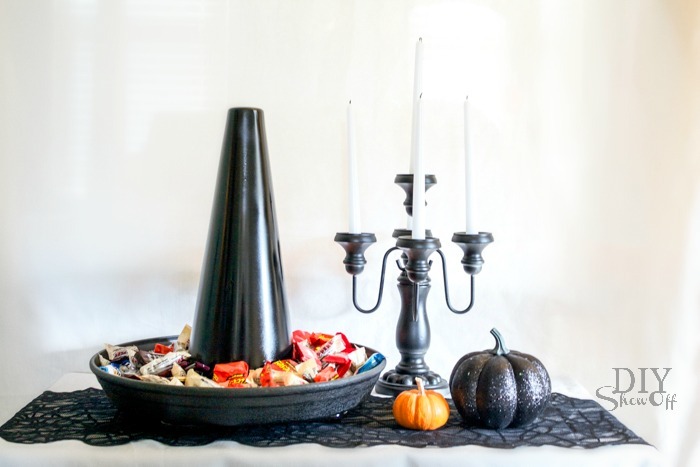 This easy DIY Halloween project for the Lowe’s Creative Ideas October challenge has a few uses so I wasn’t sure what to call it. It’s … versatile. or add chips/pretzels to use as a Halloween serving tray. or add festive cupcakes for Halloween party display. 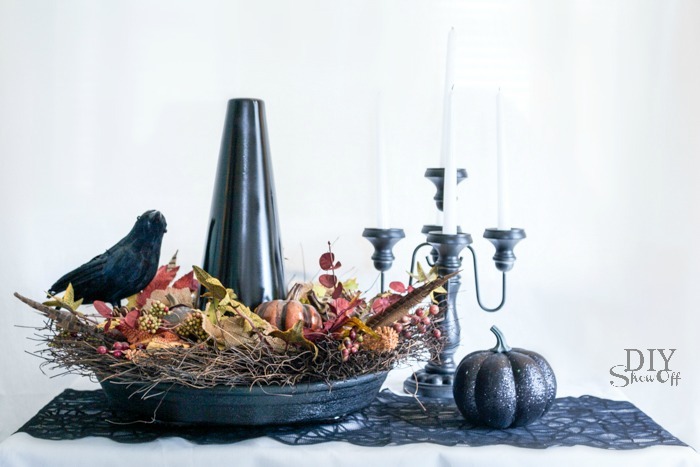 or add succulents, small fall flowers/plants to create a Halloween planter. or a floral arrangement (just pop on a fall wreath) for Halloween decor. 1. Using a kitchen knife, we cut out a hole using the inner circle shown on the bottom of the large plastic plant saucer as guide. 2. 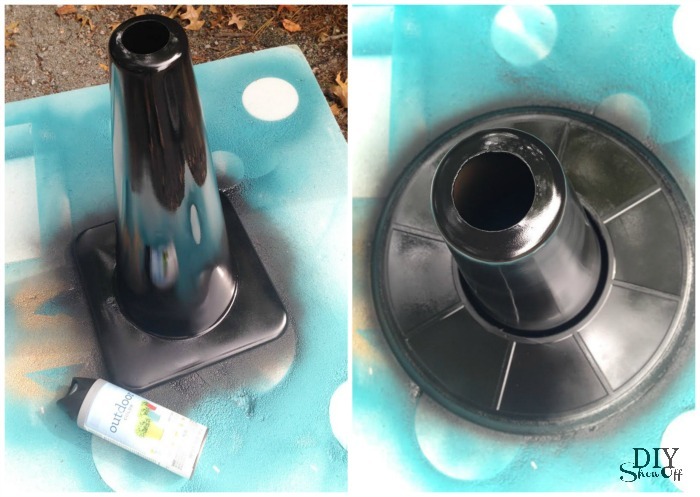 Spray paint cone and saucer black. 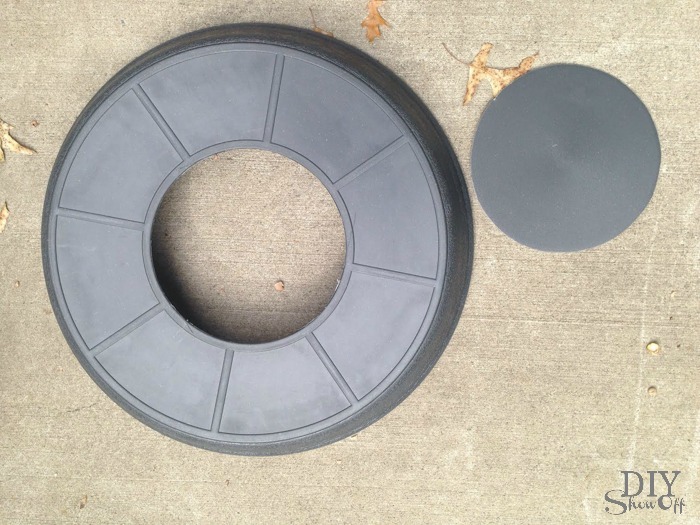 I did two coats on the cone, one coat on the already black plant saucer. Let dry. 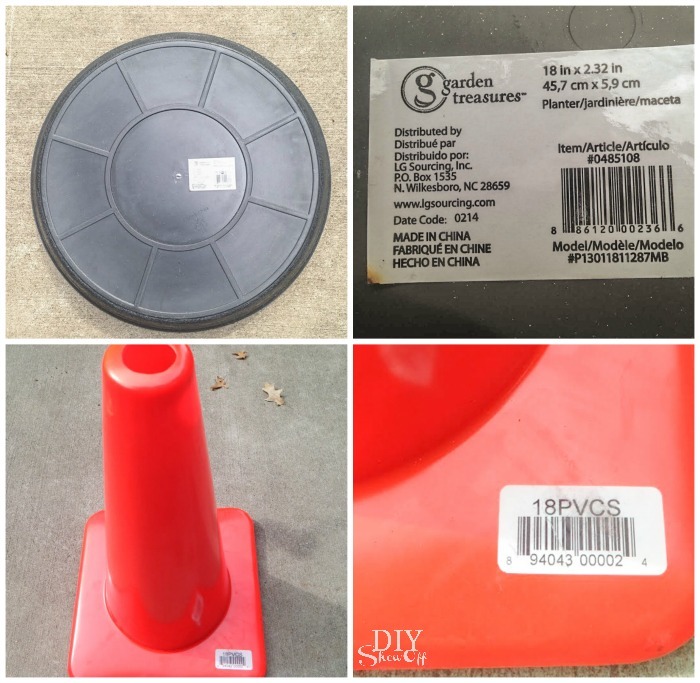 Carefully slide onto the cone. Right side up creates a ‘dish’. Upside down creates a ‘ledge’. 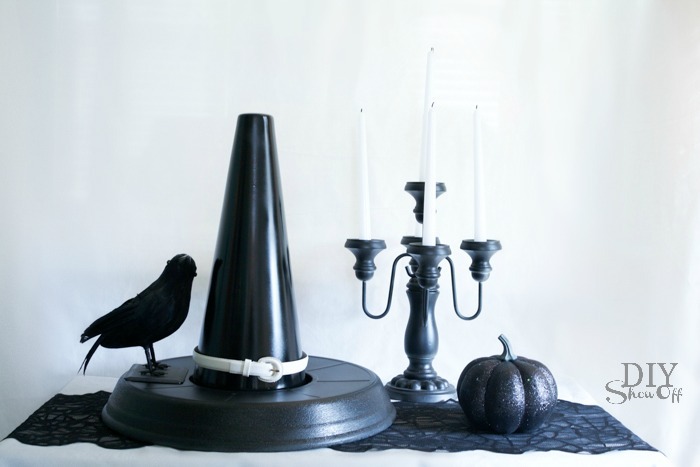 Add an old belt for a decorative touch. 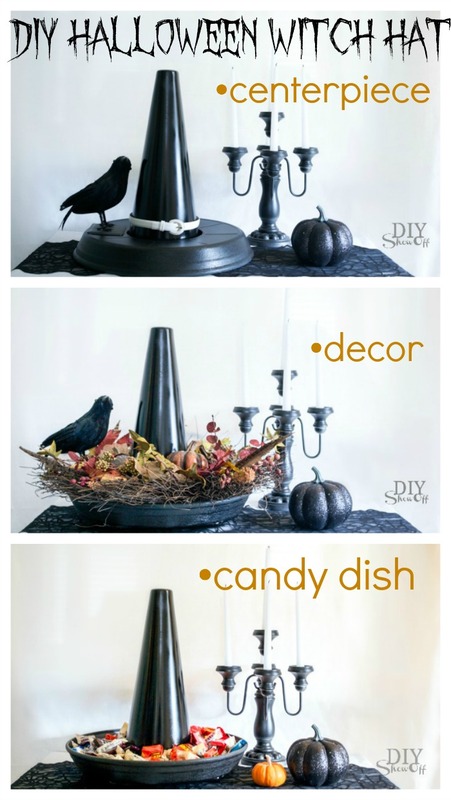 More ideas: attach faux fall flowers, leaves, spiders, etc. 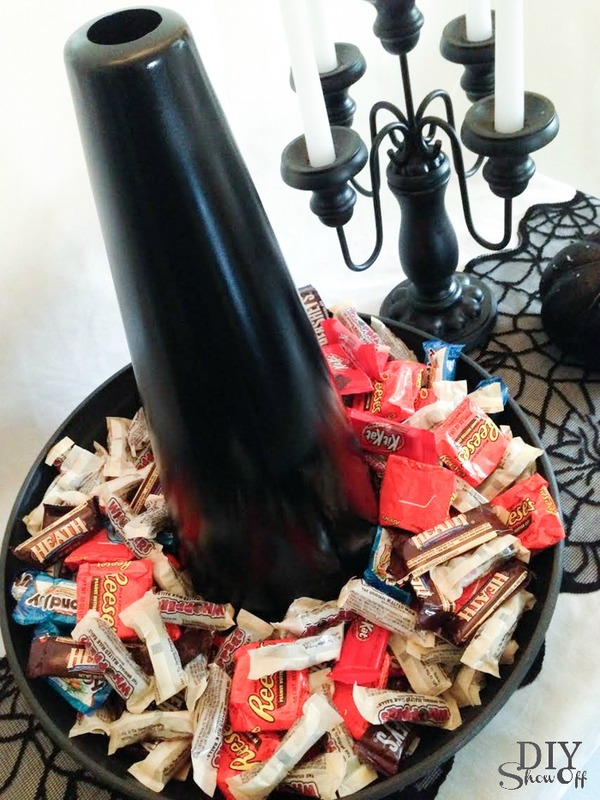 to create a Halloween centerpiece. Hide a vase filled with water under the cone and fill with tall flowers. Add succulents and display outside. Get creative! 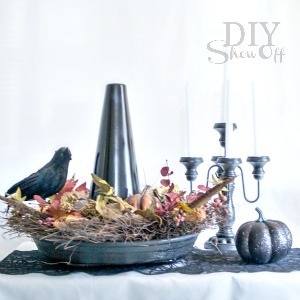 This entry was posted in Autumn, Crafts, Decorating, Fall, Fall Festival, Halloween, Home Accents, home decor, Lowe's Creative Ideas, Party and tagged Crafts, decor, DIY, Fall, Fall Decor, Halloween, Lowescreator, party by Roeshel. Bookmark the permalink. This is an adorable idea. You are so creative. 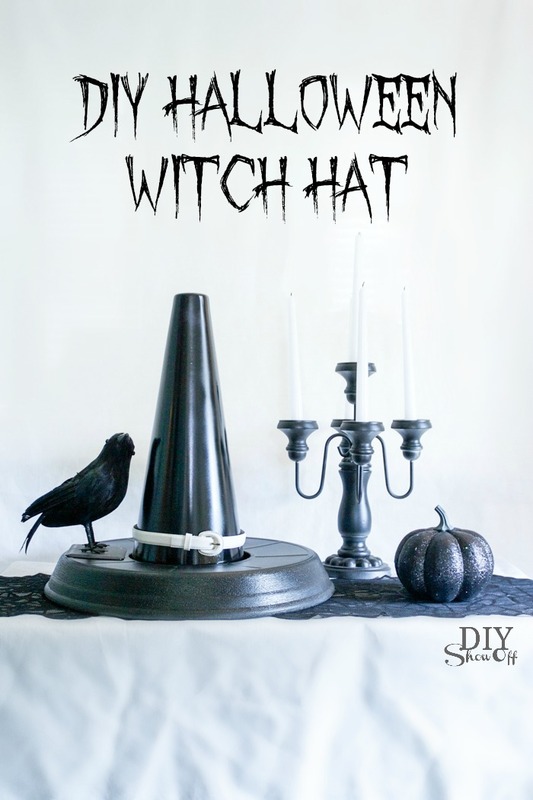 Love the witch hat! My pinterest board of “witchcrafts” now has a new pin!